Is all the CBD hype really worth it? 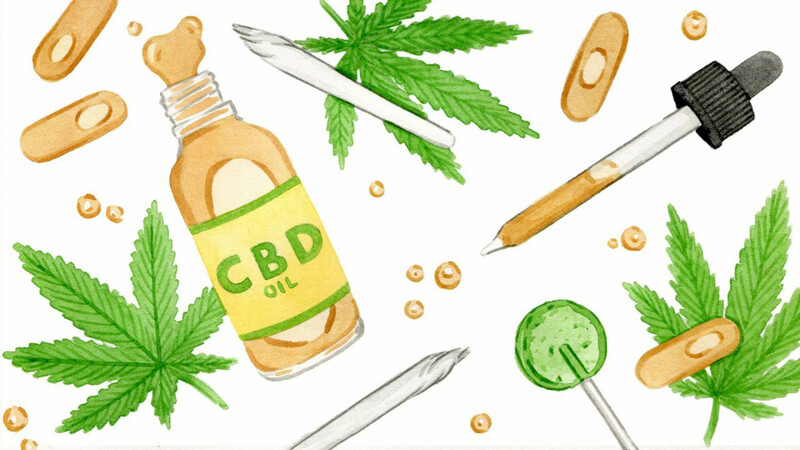 As excited as I am about the beauty community’s newfound obsession with CBD, like many skin-care trends, I tend to approach it with a healthy dose of skepticism. I make a concerted effort to educate myself on the latest scientific discoveries about cannabis and its various cannabinoids (the exact number changes depending on what literature you’re reading), the most famous of which, of course, are CBD and its hotly contested cousin, THC. But instead of layering on serums and oils that contain different percentages of CBD—a market that still needs further regulation—I decided to visit an up-and-coming facialist who specializes in incorporating these types of products into her treatments. I’d heard of Sofie Pavitt through the beauty grapevine, mostly through friends who posted videos of their preternaturally glowy faces after receiving one of her facials. In the dead of winter, when my skin is desperately dry, irritated, and sensitive to active ingredients, what I need is a deeply hydrating treatment that also addresses inflammation. Cue my hike up five floors to Pavitt’s Chinatown studio, a serene, intimate space that houses one client at a time for a fully personalized experience. After training as a facialist and deciding to open up her own space, Pavitt decided to incorporate CBD into many of her treatments. “It’s kind of the same way it works internally—you can use it the same topically,” she explained as I settled onto her padded table. “It brings down inflammation. [That] could be something like a pimple, eczema, bug bites, rosacea, redness in the skin, sunburn. I have a client who has a three-year-old daughter who started putting it in her eczema lotion, and it’s calmed down her redness really well.” She also emphasized that her preferred products use hemp oil as the carrier—which helps to balance out your natural oils—as opposed to canola or coconut oil, which are inexpensive for companies to manufacture and can often clog pores. Before the facial began, Pavitt offered a CBD tincture to relax me more fully throughout the treatment, which I gladly accepted. First up was a deep cleansing, followed by a chemical exfoliant, a steam session, and the most gentle yet thorough extractions I’ve ever received. An additional suction tool made my pores squeaky-clean without any irritation. Next was a penetration cream—an easily absorbed moisturizer used after extractions to add intense hydration—laced with a few drops of pure CBD before a hydrating Korean jelly mask. A final layer of CBD-infused serum, plus a creamy lip balm, and my skin looked even, luminous, and undeniably dewy. As much as I wish my schedule allowed me to visit her studio on the weekly, she did recommend a few options for using CBD to soothe irritated skin at home. “The great thing is you can buy a bottle of CBD oil and use that in your regular products. I also love this amazing brand called Kana. She knows skin care, and she’s adding CBD into her already good formulas, whereas a lot of these companies are just like, let’s do a face cream. Also Liquid Sky. Their salve is really good. There’s 500 milligrams of CBD per jar and will really soothe a sore muscle.” Armed with Pavitt’s expertise and a promise to return soon, I’m more willing than ever to hop on the CBD train, especially at the hands of professionals who understand the products they’re using and are dedicated to quality skin-care practices. Best of all, now I know that the post-Pavitt glow is 100 percent real.